The East African Community is working with agencies such as TradeMark East Africa to ease the movement of labour and capital and cross-border business. The Community has initiated projects focused on creating market access, enhanced trade environment and competitiveness. In 2016, 10 of the 13 one-stop border posts were completed and are operational under the integrated border management arrangement. These are the Holili-Taveta, Mirama Hills-Kagitumba, Kobero-Kabanga, Busia-Busia, and Mutukula-Mutukula posts. According to the TMEA, the OSBPs have significantly reduced the time spent at the borders. 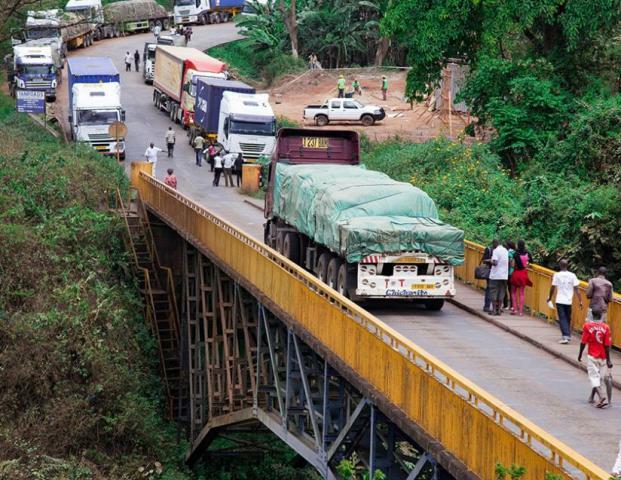 “There has also been efficient movement of goods on the Northern Corridor and linkages to the Mirama Hills-Kagitumba OSBP with construction of the Ntungamo and Port Reitz roads,” said TMEA chief executive officer Frank Matsaert. There was a 50 per cent reduction in Customs transaction time as a result of the upgraded Automated System For Customs Data, the electronic cargo tracking system and the Authorised Economic Operator Scheme, and the electronic single window system. This reduction translates into reduced cost of doing business. For Rwanda, the electronic single window saw clearance times fall from 11 days to one day 10 hours, saving businesses $6.8 million in 2013 alone. Uganda Revenue Authority’s Electronic Cargo Tracking & Customs Management System saw a 75 per cent reduction in transit and clearance times, saving traders $56 million annually. The EAC Single Customs Territory also improved transit times to major cities from the region’s ports, reducing lead times and trade costs, and improving competitiveness. The Non-Tariff Barriers Act passed by the East African Legislative Assembly led to a 26 per cent reduction in transport costs on the Mombasa-Kigali route.